Sometimes I wish that my brain wouldn't think up such insane ideas. A lady at work is retiring in the summer and I had intended on making her a survival kit only someone did that for her birthday so I decided it would be such a dull thing for me to do considering she had something similar already. 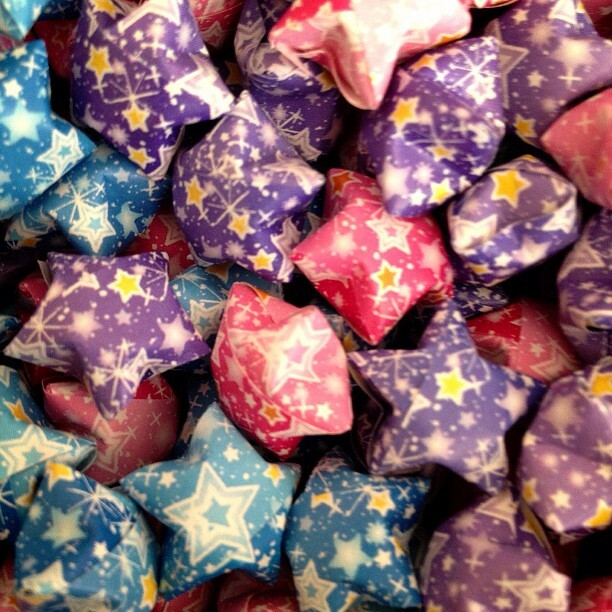 I ended up buying her a gift online but I also wanted to make something which is when I thought of lucky stars. 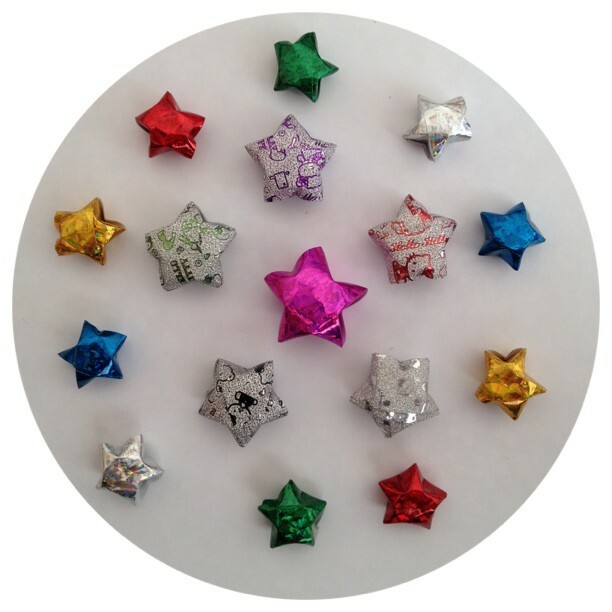 I made some lovely shiny ones with Hello Kitty Stars but then I thought someone else would enjoy them more and sent them to that person. 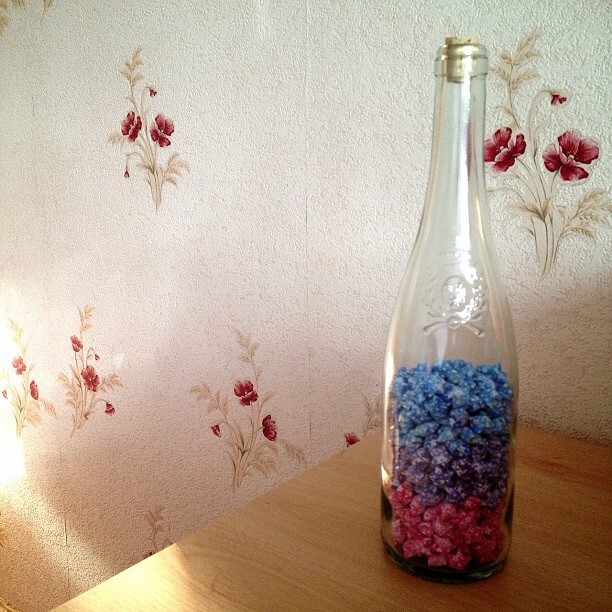 My problem now is that I don't know which stars/colours to use to fill the rest of this bottle up. The ones that I bought contain 2 of the 3 colours in the sets so I can't mix another design with them. Anything bright will look weird. Also I only have 2 weeks and 3 days until my holidays start and if I order something its not guaranteed that I'll receive it in time as there just doesn't seem to be a UK website that sells lucky stars strips. 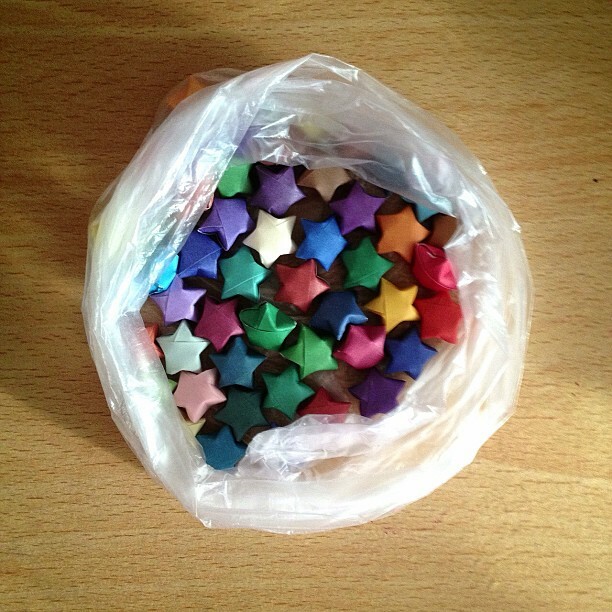 I did think about these stars, I wasn't sure so made them up and I can now tell they definitely won't go with them. I'm sure things will work out by that time but it will be disappointing not to be able to use that bottle.